What are the procedures of joining? Where do i need to fill the application form for joining merchant navy? 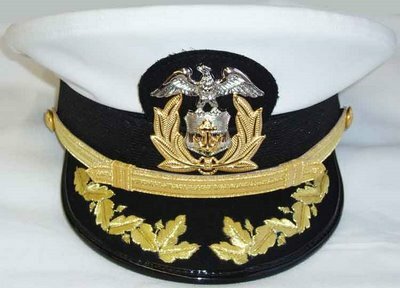 I am interested in joining deck cadet post or as a sailor? What should i need to do? What vl b the Salary Package? How can I join merchant navy after completing 12th from science with 43%? Re: How to join Merchant Navy after completing 12th science? You can opt for a career into Merchant Navy after 10th or 12th. India, you can draw a salary ranging between Rs.12,000 to Rs.8 lakhs a month. Eligibility for Merchant Navy:- an officer through various degree or diploma courses in mainly two specialized fields, Nautical (Deck) and Marine engineering. Unmarried Female and Male candidate are eligible . Eye-Sight :- 6/6 without glasses, No color Blindness. (The candidate is subject to medical examination). Note:-The All India Merchant Navy Entrance Test (AIMNET) is conducted by Bharat Shipping Limited usually in the month of November-December every year. Merchant Navy is a great career option after 12th, it is perfect for those who love travelling, adventure, interested in seeing new places and meeting new people. In this profession you will travel around the world and that too free of cost. Merchant Navy can be described as commercial fleet of non-combatant ships which deals with transportation of passengers, cargo and lots of other things by sea that may not possible to dispatch either by road, rail and air, between all the countries. Merchant Navy fleet may include Passenger ships, Tanker ships, cargo ships, bulk carriers, refrigerator ships, container ships, barge carrying ships including roll on/roll off ships. With growing economic and fastest developing country India have a largest merchant shipping fleets and have a variety of jobs in Indian as well as foreign vessels. Merchant Navy can be joined after 10th as seafarer after qualifying pre sea courses or after 12th as an officer through various degree or diploma courses in mainly two specialized fields, Nautical (Deck) and Marine engineering. Unmarried Female and Male candidate are eligible . · Deck cadet – In this course you are given a diploma in Nautical Science. The minimum education qualification for this course is 10+2 with P.C.M (Physics, Chemistry and Math) as compulsory subjects and you should have scored minimum 50% in aggregate and 50% in English at 12th level. · STCW Course – This is basically a safety course which is compulsory for every seaman. This consists of four basic course i.e EFA (Elementary First Aid), EPFF (Fire Prevention & Fire Fighting ), PST (Provisional Survival Techniques) and PSSR (Pesonal Safety & Social responsibility). It is totally 15 days programme. Qualification – Graduation in BE (Mech) Engineering / Naval Arch. with minimum of 50% marks in final year and with 50% minimum marks in English language at 10th or 12th or in Degree Exam. You can opt for career into Merchant after 10th or 12th. India,you can draw a salary ranging between rs.12,000 to rs.8 lakhs a month. PRE SEA TRAINING => In this course you will get proper training of maintenance of engine as well as deck . It is also known as G.P.R (General Purpose Training) you can join this course after 10th with minimum aggregate percentage of 40% with Mathematics, science and English as compulsory subject and should have 40% marks in each of them. The time duration of this course is 06 months and age limit is joining this course is 17 to 25 years. SECONDLY, DO MARINE ENGINEERING DIPLOMA FOR 2 YEARS OR BSC. NAUTICAL ENGINEERING. AFTER JOINING , AT TRAINING SESSION THEY GIVE 15000-20000 SALARY AS STIPENED. If i Had little number in my eyesight does it is eligible? if a person using spactecle and no eye sight 6/6 then there is no carrier in merchant navy? I m interested in medical and Marchant both of this so any job available for me in Marchant ??? Or indian navvy ?? How I can joint ?? After passing 12 science can I get job in marchant navy without any course after 12 ? I am going to pass 12th in March 2017, Can I apply for Merchant Navy in November-December 2016.